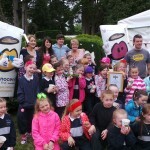 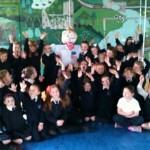 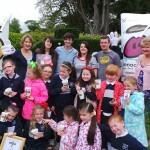 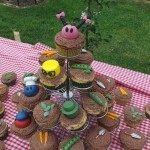 In 2013 1st class won the ‘Sow and Grow’ competition run by Innocent Drinks and GIY Ireland. 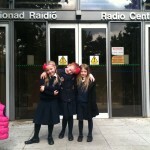 We came 1st out of more than 850 schools and youth groups and 25,000 children. 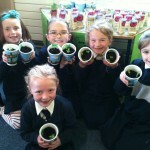 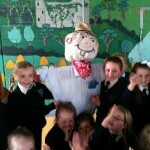 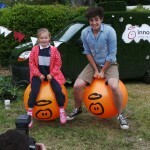 1st class kept a blog on the Innocent Smoothies Sow and Grow website and updated it daily. 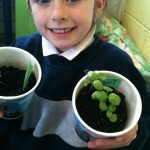 They posted pictures and videos and wrote about plants and vegetables that they were growing and the activities. 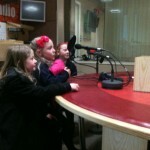 They also made video news reports, a short drama called ‘The School Garden Inspectors’ and a ‘Planting Rap’ with a music video. 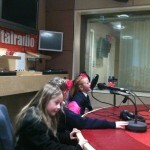 Some of the 1st class were invited to RTÉ Radio and chatted live on air about their win on RTÉ Radio Junior with Colm Flynn. 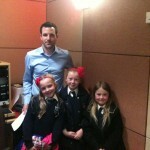 Have a listen to their interview here. 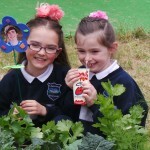 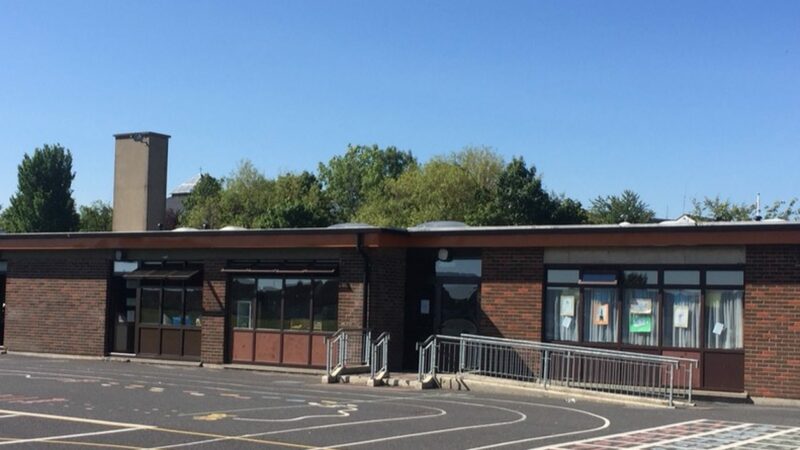 For coming first in the competition, 1st class won a trip to the Bloom gardening festival on Friday the 1st May, along with €500 worth of gardening equipment for the school and one year’s mentorship from a GIY gardener in the area. 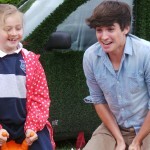 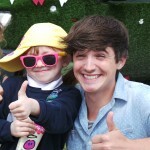 They had our grand prize presented by the home cook and food writer Donal Skehan at Bloom and got a Smoothie trophy, goodie bags and smoothies. 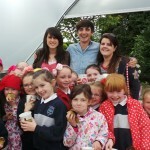 To top it all off after the prize giving in Bloom, 1st class went to Dublin Zoo for a tour and some tasty lunch. 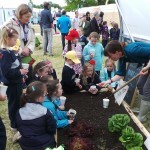 The girls really learned so much and acquired life-long skills in growing plants and understanding the importance of healthy eating.